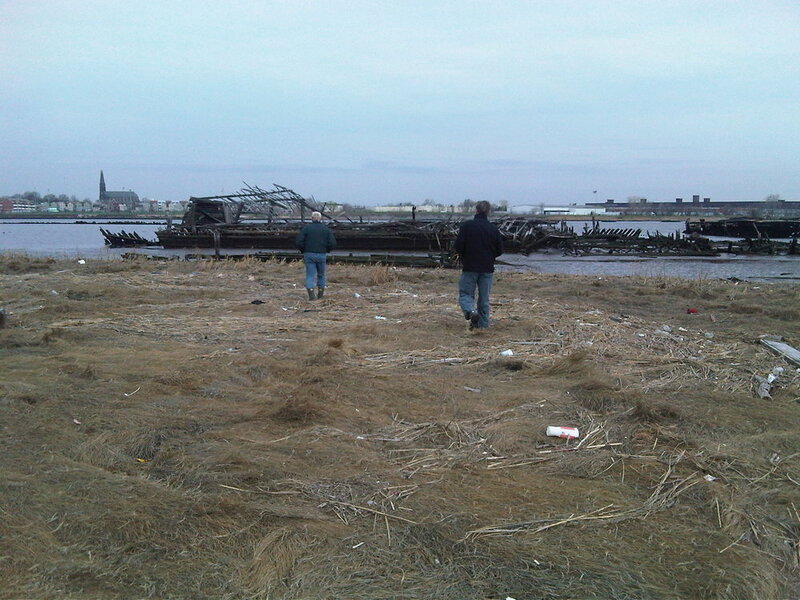 The podcast for Sat May 2, 2015 program on AfrobeatRadio on the importance of a just settlement from ExxonMobil to fund the full restoration of the wetlands and marshes for Newark Bay. The program describes the New York / New Jersey coastal wetlands and how important it is, not only for the region but what it means as an essential incubator for marine and avian life, as well as for the people who live in the areas of Bayonne and Linden, New Jersey. Our guests talked about the negative health and cultural impact of the pollution on the livelihood and the health of the people living around the coastal wetlands and the marshes. The first two pictures by Beryl Thurman. The third by Robert Hennelly. The discussion covers the pollution of the water ways which was largely as a result of the activities of Exxon Mobil’s petrochemical refineries. We also covered the rather super expensive sweetheart deal which New Jersey Governor Chris Christie plans to give-away to ExxonMobil: $250 million for $9 billion settlement or about 3 cents on the dollar. Ana Baptist, Asst. professor of Professional Practice in Environmental Policy and Sustainability Management at The New School University. Ana was the Director of Environmental and Planning programs for the Ironbound Community Corporation (ICC) for over seven years, where she oversaw a wide range of environmental justice, community development and community based planning and research projects in her native Ironbound community in Newark, New Jersey. Beryl Thurman, executive director of The North Shore Waterfront Conservancy of Staten Island, Inc. (NSWC). North Shore Waterfront Conservancy of Staten Island, Inc., (NSWC or NSWCSI) is a grass roots environmental/environmental justice organization located on the North Shore of Staten Island, NY, advocating on behalf of the environmental justice and waterfront communities of Staten Island's North Shore. NSWC is a proponens of sustainable, clean, healthy, green, safe communities, waterfront and waterways. Call the next one “Hurricane Christie”: New Jersey gives Exxon a pass on pollution — and puts everyone else at ris Exxon has caused billions in damage to marshes and wetlands that provide vital protection from superstorms. AfrobeatRadio on WBAI 99.5 FM NYC Pacifica Radio from 6:00 to 7:00 PM EST., Streaming live @ www.wbai.org.